Mleiha is a town in the Emirate of Sharjah, the United Arab Emirates. It is known for its Archaeological Center and is home to a number of significant sites, including Bronze Age tombs and pre-Islamic forts. 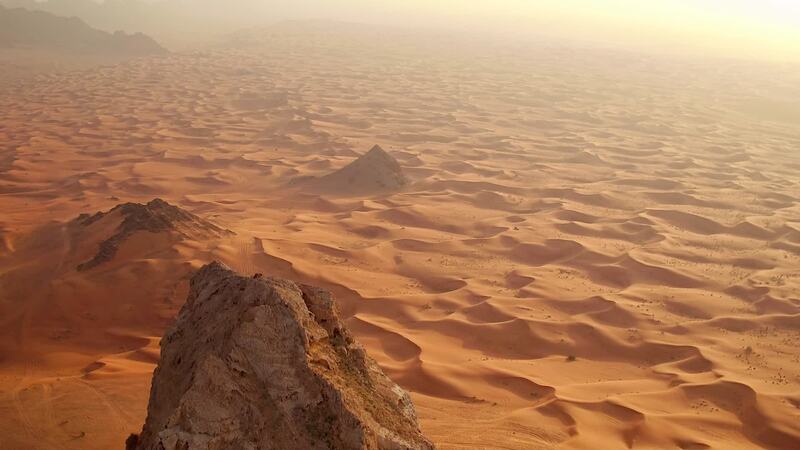 The desert surrounding the town is part of the great Rub' al Khali, the largest contiguous desert area in the world, which covers much of the Arabian Peninsula. Check it out from above in this stunning drone video of the area by contributor Aerial Eye Visuals.